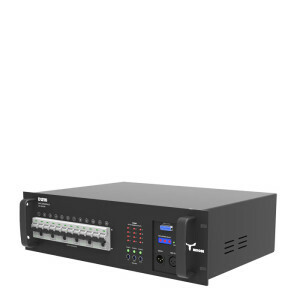 Provides a cost effective, complete and easy to use light-control solution for 19” rack mount or free standing operation. 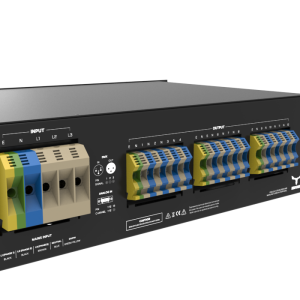 DIMMER series are a versatile and functional 6 to 12-channel dimmer pack range for light intensity control, projected to achieve the most exigent demands. 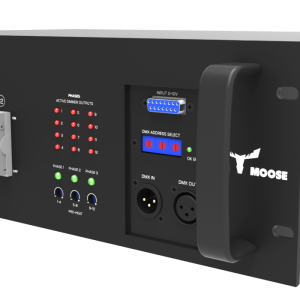 Analog and digital versions, all models are constructed on a rugged metallic enclosure prepared for several applications with 19 inch rack panel mounting suited for both touring and permanent installation markets. This range of Dimmers offers a wide choice of output connector configurations and channel output current capacity. Features such as LED indicators for each channel, adjustable preheat (0-50%) in order to extend bulbs lifetime and DMX addresser to patch DMX start channel address and overload protection by M.C.B. per channel are common to all models. Using TRIAC technology, each channel has its own circuitry built with high quality inductors and filtering circuits to minimize the possible interference to other electronic equipment by reducing the harmonic waves produced by phase angled control of the power mains.